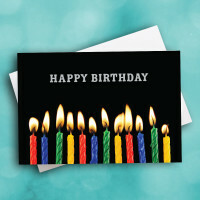 Blow out the candles and wish a happy birthday to someone special. 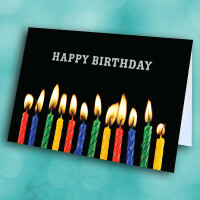 What better way to wish someone in your life a happy birthday than with birthday candles? 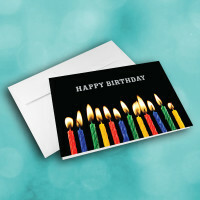 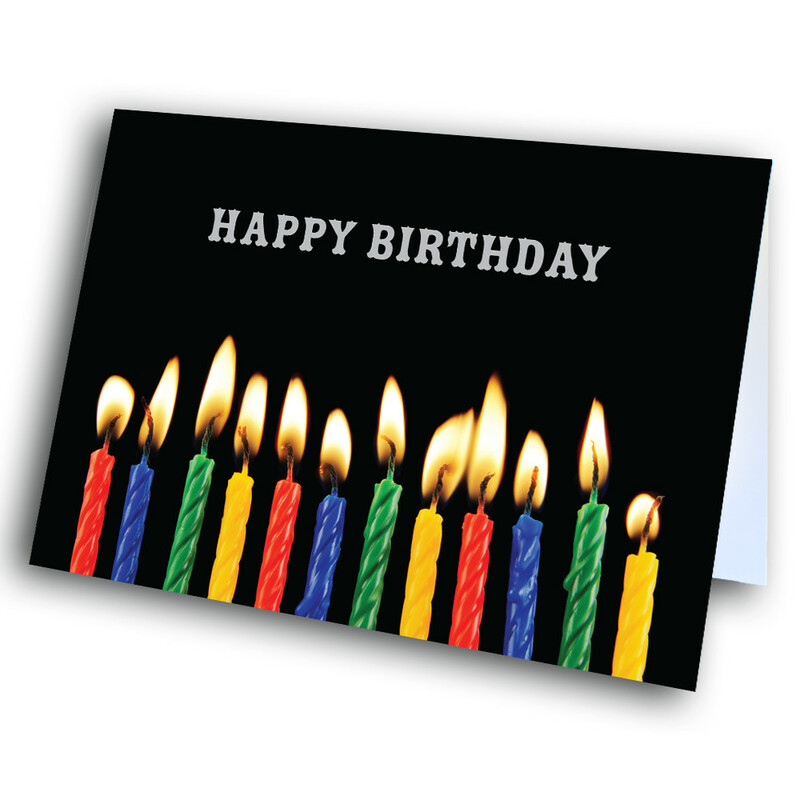 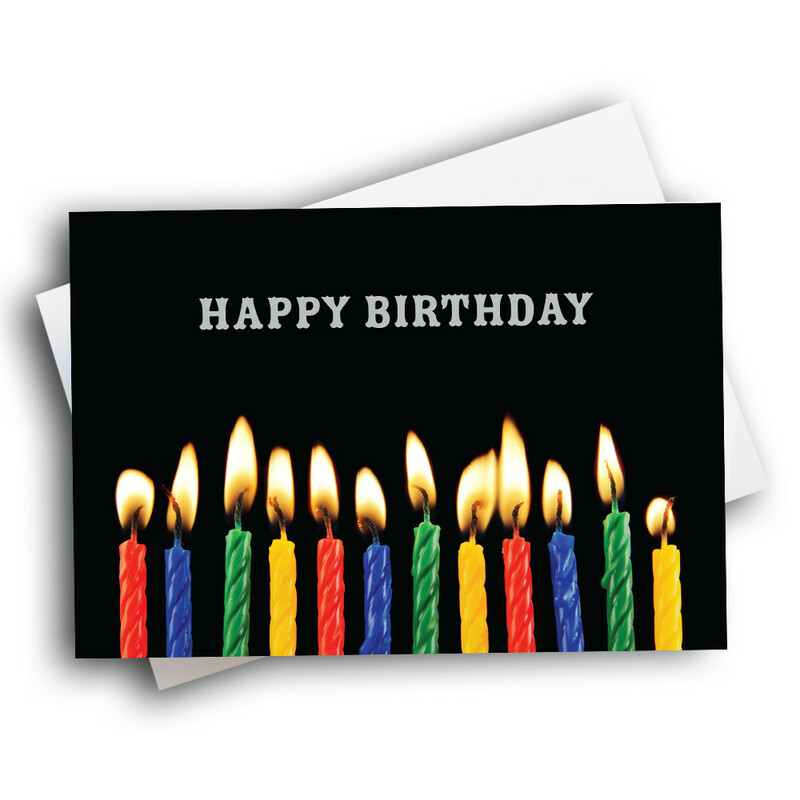 Lined up against a completely black background, colorful birthday candles burn bright, illuminating the greeting printed across the top. 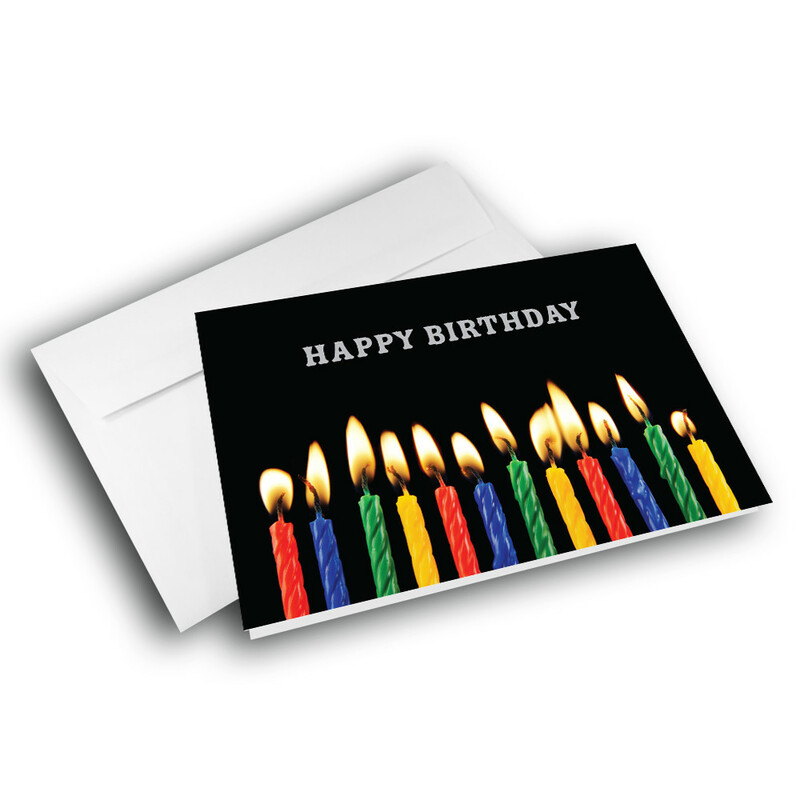 Personalize the message inside to make this a unique, custom birthday card.